Last October, we had the opportunity to cater Eric and Jillian's beautiful Tuscan-themed outdoor wedding at Nashville's Arrington Vineyards. From the menu and the cake to the bar and display, we can customize all weddings or events to compliment any theme. 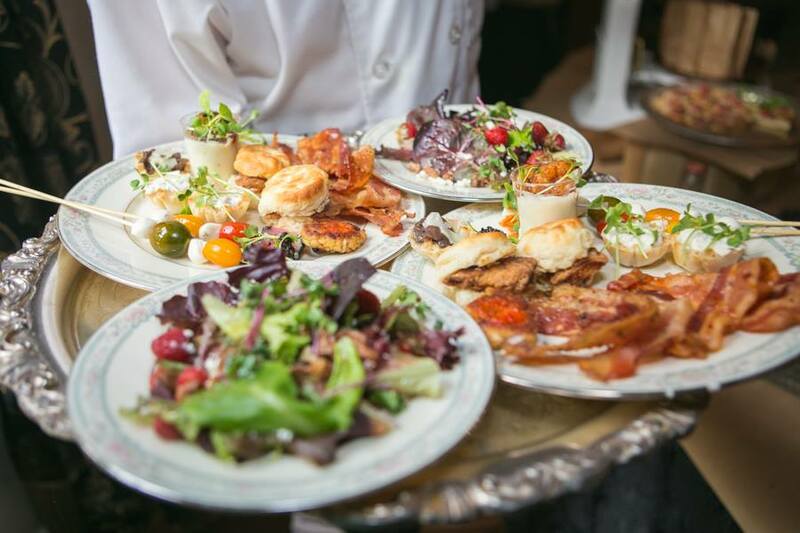 Have your bridal brunch with 8 Lavender Lane! Bachelorette parties are a huge hit in Nashville. Bridal parties come from all over the country to celebrate an entire weekend in Music City. Other than hitting up the honky tonk's, consider hosting a classy bachelorette brunch to kick off the weekend. We loved collaborating with Social Bliss events on this fun yet classy afternoon bachelorette celebration at Riverwood Mansion. Plan the Perfect Outdoor Soirée! As we cruise into summer's end, outdoor temps are once again bearable as we enjoy breezy nights and sunshiny days. Winter will be here before you know it, so get outside while you still can! There's nothing better than the company of friends over food in the open air of Summer and Fall. You shouldn't feel limited to indoor space when it comes to throwing your next dinner party. Consider turning your celebration into an outdoor southern soiree. From a lovely bridal brunch complete with a mimosa bar, to an outdoor rehearsal dinner under Italian string lights, the options are endless. Impress your guests by keeping the details elegant, and taking the party outdoors. Throw an afternoon tea party in the garden. Host a romantic candlelit dinner under the stars of summer. Consider a theme for your party: Midsummer Night's Dream, Backyard BBQ, Great Gatsby, Alice in Wonderland, Havana Nights, Enchanted Forest, etc. 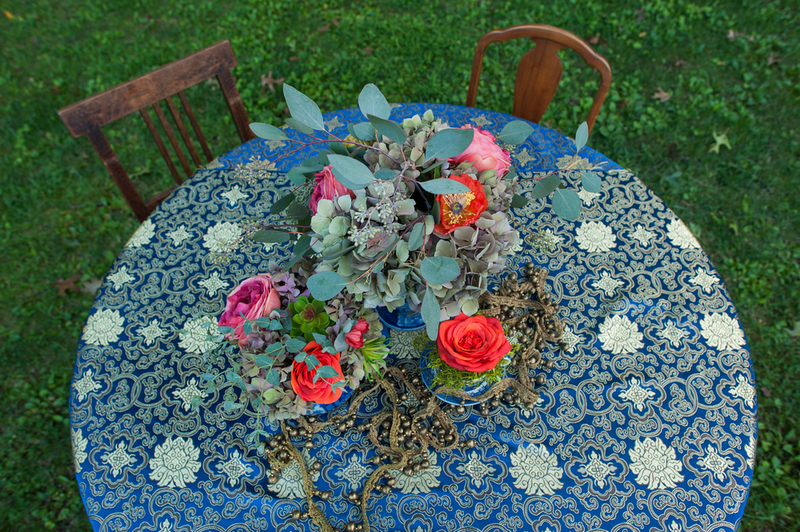 Use fresh floral centerpieces to bring your outdoor surroundings straight to the table. Keep foods simple and light during daylight hours and don't forget a refreshing beverage. Set up a fire pit for evening affairs to keep guests cozy - for an added bonus make smore's. Encourage mingling by setting up an outdoor lounge area. Don't over complicate it! The three key elements to a successful dinner party are good friends, good food, and a great setting to enjoy them. Why choose food as your favor? 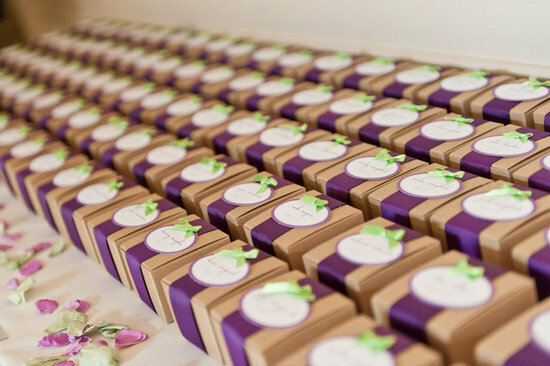 Many times brides pick out favors that seemed like the perfect idea only to have an abundance leftover to take home after the wedding. Guests just don't take them! Sure candy is something that people will eat while sitting at the table, but all the work that goes into putting favors together in those cute little expensive bags makes you wonder if it's really worth it. How many time do you hear people say they had to stop and get a bite to eat on the way home from a wedding?.... about 90% of the time. Most of the time it's not that the caterer didn't have enough food, it's that the guests ate 4 hours ago and have been dancing and drinking. They have worked up an appetite! 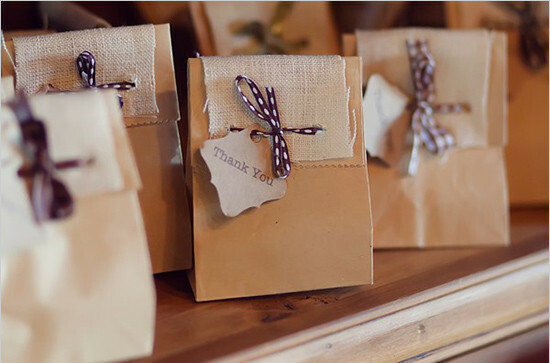 Offering petite brown bags to guests as they depart the wedding is a valuable idea we have given our brides to please her guests and her budget which has really proven worthwhile. The bags are filled with all sorts of fun items ranging from Chicken Biscuits and Donut Holes, to Sliders and Fries. Keeping your guests happy from beginning to end is so important and this is just one more way we have found to insure this happens. Don't spend your money on favors only to have them left behind. We love the creativity that many brides bring when planning out the menu for their guests. A simple idea like serving "breakfast for dinner" can turn into a unique display that will leave wedding guests thrilled and feeling like they received a fun and special treat. - Pancake & Waffle Station featuring Hot Chicken along with assorted toppings such as: house churned butter, fresh fruits, simmered berries, flavored syrups, & whipped cream. - Omelet Station with many spices, proteins and chopped veggies. - Bacon Station featuring Benton’s Bacon and House Smoked Bacon in a variety of flavors. - Sausage Station in a variety of links and patties in assorted flavors. - Pastries and breakfast breads served with local jams, jellies, and honey. - Butcher Shoppe Station including meats, county smoked ham, bacon and sausage. - Biscuit Bar featuring Springer Mountain Farms chicken tender biscuits alongside local jam, jellies, honey, and good ple southern white peppered gravy. - Grit Station: our grits are the creamiest around! We can do an assortment of sweet and savory toppings ex: Bacon Jam, Spicy Shrimp, White Cheddar, Raw or Brown Sugar. - Cocktails served: Bloody Mary Bars and Bellini / Mimosa Stations. - Donut Bars are especially popular and bring a colorful sweet assortment to the display. - Fresh fruits and cheeses are always a nice addition to breakfast foods as well. Overall & per person budget- you will save yourself a lot of time and aggravation if you have both your overall event budget and food budget mapped out. Guest Count- knowing the # of guests you plan to invite is crucial in generating an accurate estimate of food cost. The best way to manage your budget is by managing your guest list! Event style- share the style of décor you plan to use during your event to help guide the creative planning process. Pictures from Pinterest can be especially helpful here. Menu design- Share any specific food selections you may prefer. Also, be upfront about dietary restrictions such as allergies or the need for vegetarian, vegan, or gluten free dishes. Get recommendations and referrals- Experienced and preferred caterers will have no problem providing references so go ahead and ask for them. It will validate your choice to hire. Additional services- many caterers can help with coordinating other aspects of the event like tables, chairs, table linens, décor, floral, bartenders, etc. Ask the question to streamline your planning process and make the most of the relationship! Having these area’s mapped out will benefit you by guiding the conversation so you get the most out of your meeting. You should expect that based on the information you provide your caterer they will be able to recommend the right food choices and certain cuisines based on the event style and budget you have outlined. Once the planning is done you can sit back, relax and feel good about your amazing food selections! Wedding season is upon us and we are swooning over beautifully designed wedding cakes! Our seasoned pastry chef Morgan Bargers, designs and creates unique wedding cakes for each and every bride. Our range of capabilities in the cake space spans from classic and elegant three tiered cakes, fondant cakes all the way to custom cakes with specific design elements and splashes of color. Each cake is unique showcasing delicate designs along with its delicious flavor. And for all the grooms out there, don't worry Morgan can make your very own Grooms Cake. Unless of course you don't care for cake, that's when really have fun offering your favorite dessert instead. Having a devoted pastry chef shows that we are dedicated to the sweet side of our business. Morgan is incredible and references her work as "edible art." We frequently work with on-premise and off-premise clients to provide one of our signature cakes as part of our catering services. Sometimes we are called to provide one of our delicious cakes only. We pride ourselves on being able to accommodate our clients needs in all aspects of the event planning space. Check out the latest from our new blog, Garnish where we remember one of our favorite outdoor weddings.